Now, this is a wonderful time to become an entrepreneur because in so many ways, technology is levelling the playing field. But, there's one industry that I particularly love and that is helping entrepreneurs to scale riding the digital wave. And one of the best ways to do that is to become an expert entrepreneur. That means you and I can use what we know: our skillset and the areas we’re passionate about to create products and services to serve others (and make an amazing income doing it! See, the internet allows us to amplify who we are and to easily produce products and services that really, really help people. So, technically, you can be serving locally or you can be serving globally. With your knowledge, skills and passion, you can be serving people around the world and create an income from that which you love to do. 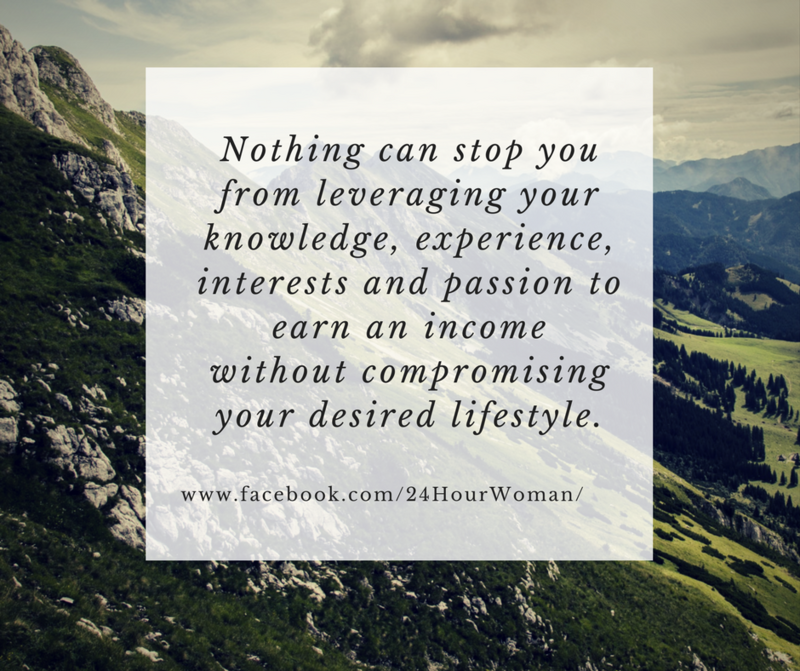 This is a very exciting and great opportunity right now and that's why I say that I'm not surprised to see that hordes and hordes of women can transition from the corporate arena into being a successful online entrepreneur. First of all, know that taking on this adventure is not for everybody. So, don't just jump ship from your corporate job right now. Test it out. Taking this leap is for the courageous. Because, for many people, we have been in our corporate job for a very long time and we think that it's an unrealistic dream or entrepreneurship is for someone else. It's not for me. But the more unrealistic it is, the more courage you need and I know because I speak from personal experience that you do need a lot of courage. Transitioning from corporate arena to being an entrepreneur, there are many things that you don't know, there are things you need to figure out, there are people that you need to go and meet, that you never knew existed. There are a lot of things to figure out, but you need to trust that YOU CAN and you have the courage to do so. If you are concerned or fearful about that, think about it this way. Don't think of it as a big goal, but think of it as small little goals that you can get to and put together in order to achieve a big goal. And this is what I've done. So, I've put together a cheat sheet for you. 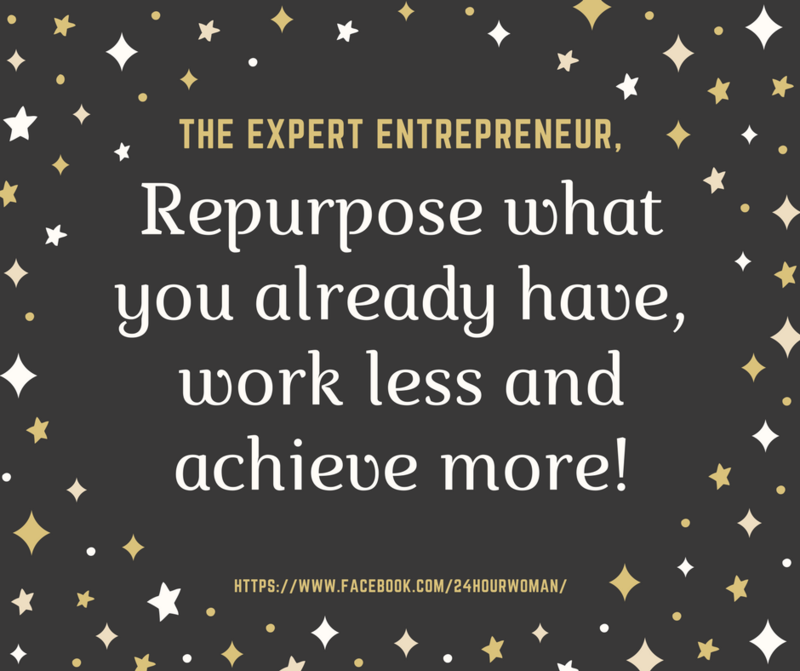 It's called the expert mompreneur checklist and it’s going to help you get started or grow quickly if you’re already on your way. Also, remember that you don't have to be a mom in order to come and join us to use your passion, your skillset, or your knowledge to be able to create a business that you can monetize and be able to spend time with your loved ones. I can share with you from experience that on this journey, you’ll feel fear. But I encourage you to dig deep for the courage. Know why you are doing this. Know why you're going for the transition to become an expert entrepreneur... because at the end of the day, that's the momentum you need. Your why is the momentum that you need. Break it down to smaller pieces like I say. Don't think of it as a big goal. Think of it as smaller pieces and then you can put it all together. On this journey, there will be some things you know already… and a great deal of other things that you’ll need to figure out! For me, for example, copywriting (or being able to effectively and persuasively communicate to a big audience online) was initially very difficult. But, what I did was I put myself on a learning journey. I found the resources I needed so that I could learn as I grown in my business. If you're in the corporate arena, then identify what skills will you help you grow quickly and see if your boss will sit down with you and support you on your learning plan. The key to rapid growth and overcoming challenges quickly is having a learning plan for your transition to be an expert entrepreneur. My last tip is to go out there and network with people in the industry that you want to be working with or that you want to become! Go and look for a coach who has gone that way. It does not matter whether you want to work with me as your coach or anyone else, but get a coach. Cut short your learning curves so that you can very quickly get into the thick of things and go out to the “field of play”. What’s the field of play, you ask? Well, field of play is a term that is used by a lot of my entrepreneurs and one of mentors and that means going out there and test the water, going out there and talk to people. When you get out there and talk to your real customers and present your offer to real people, then you get instant feedback about what works and what doesn’t, and you can gain a deep understanding of your ideal customers (and what they need)... faster. To recap quickly, accept that you’re going to feel fear on this journey… however, you can find the courage to carry you forward and create momentum by staying in touch with your “big why”. In other words, know and feel the deep reason you have for wanting to earn more income, create a better lifestyle, and serve others. And remember to break your big goal down into smaller, easily achievable steps along the way. Next, be sure to create a learning plan that will help you develop the skills you need as quickly as possible. Even if you’re still working in the corporate arena, you can ask for support from your boss and co-workers to help you develop as a professional. Lastly, get out there in the field of play and test things out! Talk to customers, make offers, and see what works. This is the fastest way to get a deep understanding of your ideal customer and develop a winning expert mompreneur business. Be sure to download and complete my free "Expert Entrepreneur" checklist.